Open Channel: What Did the Government Tell Captain America to Say to These Kids? Captain America’s got some explaining to do. It’s Take Your Kids to Work Day, and even the US government has time to “edutaine” some tots. The Department of Defense brought Captain America to the podium for a press conference, where he came face-to-face with an intrepid group of young reporters. 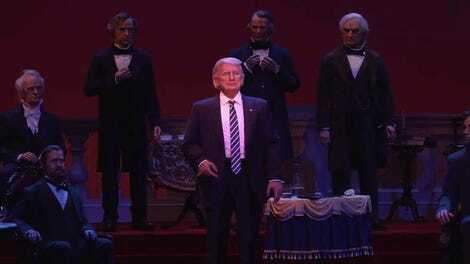 Time to theorize about what Steve Rogers is helping the government attack or evade this time! 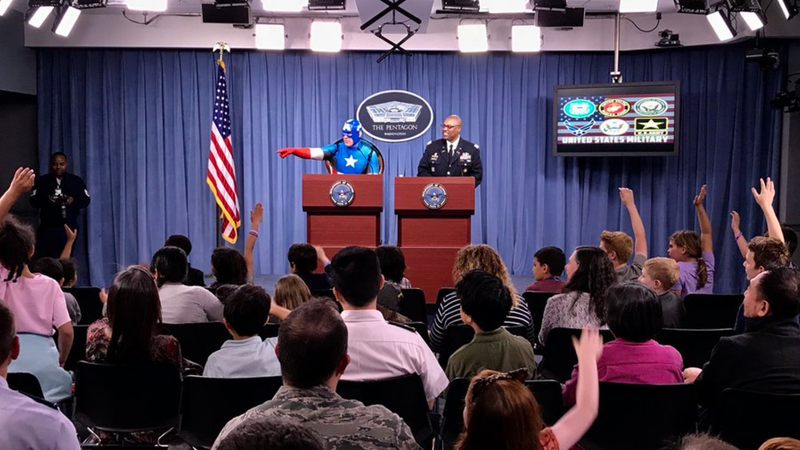 As shared on Twitter, Col. Robert Manning and Captain America did a press-style Q&A for a bunch of kids while showing them around the Department of Defense’s media and public relations department. While the press conference wasn’t livestreamed for public viewing (unfortunately), we presume Captain America gushed about how gosh darn great the military-industrial complex is while evading inquiries into his past as a Hydra operative, as well as President Donald Trump’s repeated call for a DoD ban on transgender service members. Let us know what you think these brave young reporters asked Captain America in the comments, as well as how he was probably instructed to respond. And hey, at least Steve’s taking a trip to Wakanda in Avengers: Infinity War, out tomorrow. He could use a lesson is competent government leadership—even if it is technically a monarchy.